So in the rush towards Christmas, trying to get all my quilt orders out, I’m stuck on this Log Cabin. I started quilting and then unpicked an entire row, just to start again. But the second time around it took me much longer just to get going. 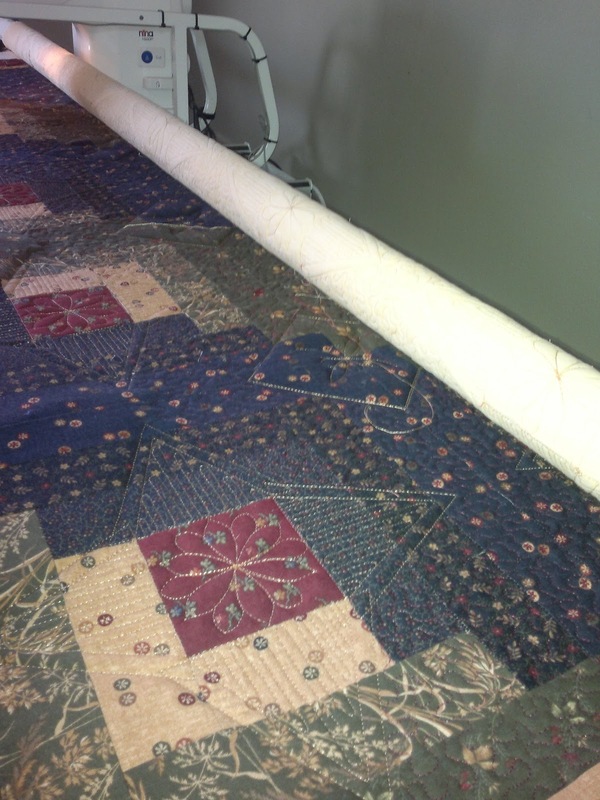 I had a bit of a struggle with what to quilt. 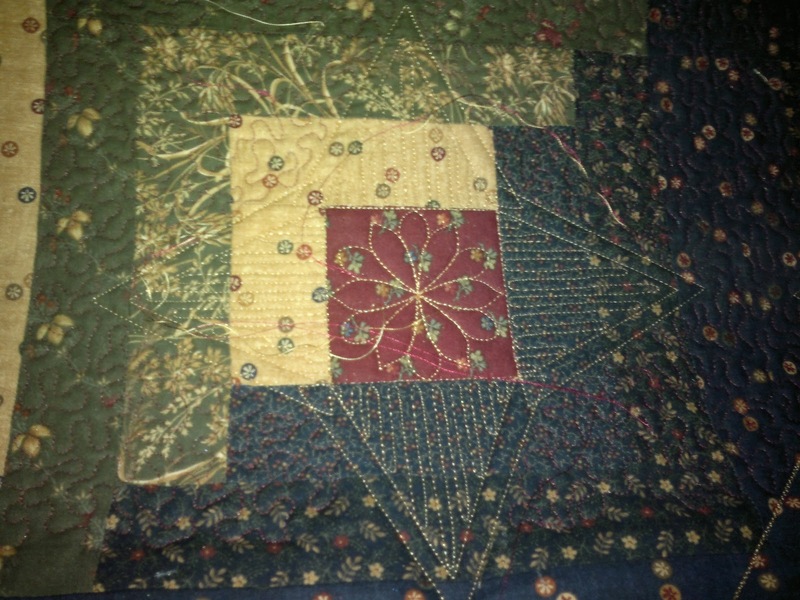 I find that the plainer the patchwork design, the more difficult it is for me to plan an interesting quilt design on it. So I think I have got it now. And then just when I was starting to get into it, we received a notice from council that our neighbourhood will be without electricity today. I’m still waiting for it to go off, but until then I’m pushing to get done what I can.